With all of the Nexus rumors of late, don’t think we have forgotten about the epic 4th quarter that Verizon is about to have when it comes to device launches. Devices like the Samsung Galaxy Note 2, LG Spectrum 2, and HTC DLX are all on deck, likely for November. 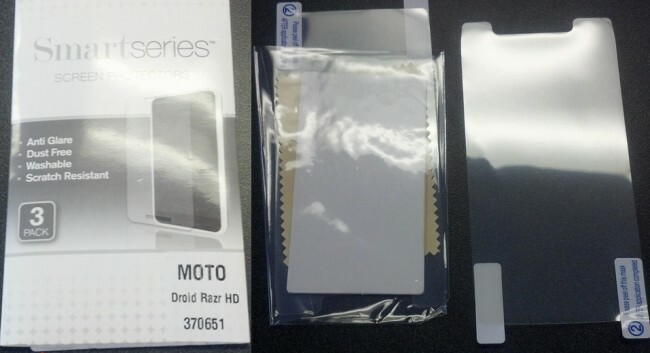 But what about the DROID RAZR HD and MAXX HD? One report claimed that they were delayed until November because of antenna issues. While we haven’t heard that from any of our friends, we have heard that third party Verizon stores are looking at October 18 as a potential date, even including it on their latest MAP (minimum advertised price) lists. Today, screen protectors started to arrive in stores, which is always a good sign that a launch is creeping closer. It doesn’t necessarily mean that October 18 is set in stone, but it does show that stores are preparing for a launch in the very near future. With a set of ultra-impressive devices rumored to be launching in the coming months, how are you going to pick one over the other? Does the RAZR HD or MAXX HD still make your short list?